Fishing opportunities abound in the area. On site is the Fish Pond. Located over the dam from the swim pond and directly behind the cabins. Go west down the road from the store, take a right on the gravel drive in front of the long, green maintenance building. A license is not needed to fish in the Fish Pond. Mostly perch and bass are in the Fish Pond. Rent a kayak from us and enjoy a day fishing the James River. Fish the beautiful mountain Trout stocked waters of Jennings, Middle and North Creeks. From October until May. Heritage Weekend is always the first weekend in April. Reminiscent of the old Opening Day weekends, state streams are super stocked with trout and with citation whoppers. Click here for information from VADGIF on Heritage Weekend stocked waters. 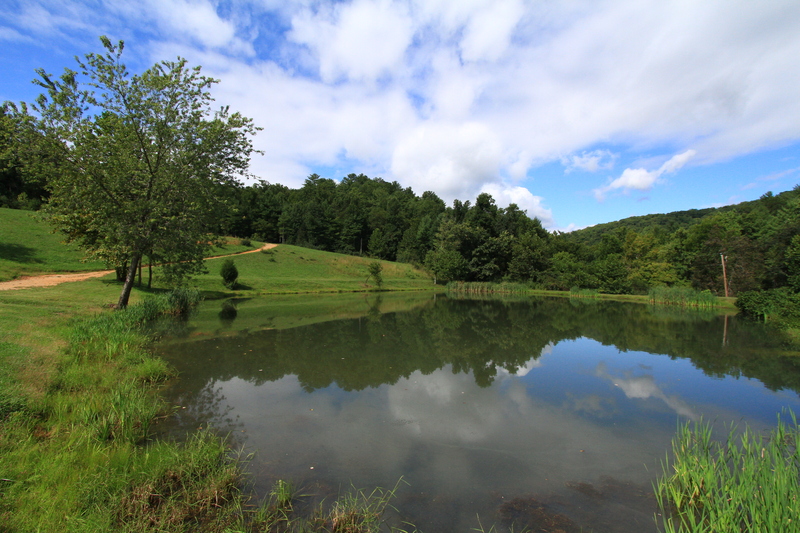 You DO NEED a Virginia Fishing License and TROUT STAMP to fish in the National Forest. Click here to visit VADGIF online and purchase a license. Fish the James River for Muskee, small mouth bass, rock bass and catfish. For information from Botetourt Tourism on the James River click here. Click HERE for James River access points and boat launches.